Offering unrivaled service in a high-energy atmosphere, the exquisitely chic and stunning 6,600 square foot space will make The Bank a world class nightclub destination. Guests will be greeted by a sensuous foyer previewing the entry into a nightlife fantasy. The entrance into the nightclub’s main room presents a dramatic aerial perspective: elegant VIP booths layer the dance floor in an impressive multi-tiered environment. A glass encased dance floor, set at the lowest tier, is slightly raised creating a brilliant focal point in the center of the room. Like its namesake, The Bank is a sanctuary for all things precious – the décor and design are no exception. Attention to detail abounds where combinations of rich textures and modern elements will create a harmoniously paired aesthetic. A resplendent palette of colors will complement the club’s intricate details creating a luxurious yet contemporary vibe. Vivid custom-designed ambient and mood lighting on both the ceiling and floor will create an ultra-sensory experience and state-of-the-art sound system, built to suit the needs of all music types, it will bring the club to life every night. This is one of the few venues on the strip that primarily plays hip hop. 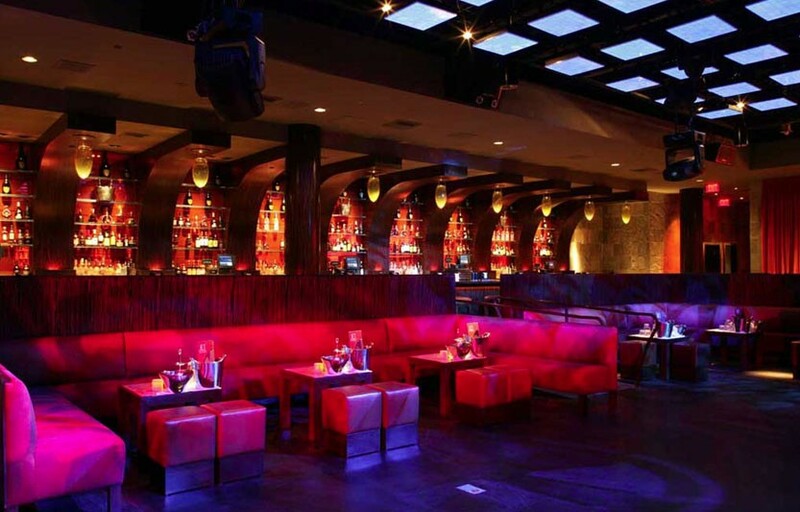 The Bank is one of the smaller clubs on the strip, which gives it a more intimate vibe. Table prices are pretty reasonable and waits generally aren’t too long. On Thursdays ladies receive open champagne bar until 1 AM. Where is The Bank located? 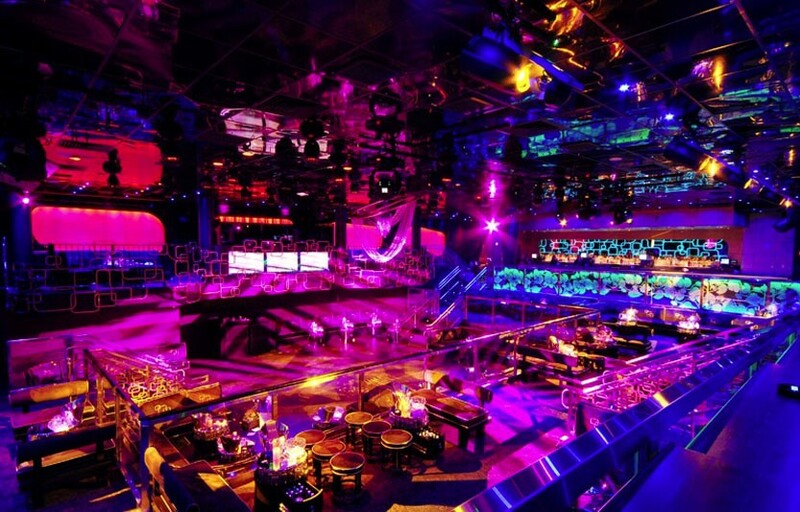 Bank Nightclub is located within the northwest side of the Bellagio Hotel and Casino near restaurants Fix and Yellowtail. If arriving by personal transportation, limousine, or taxi-cab, you will find the North Valet entrance closest to the front door of The Bank. How much is cover charge at The Bank? How long will I have to wait at The Bank? Wait times are anywhere from 15 min to 1 hour, depending on the night. Sundays are usually less busy. When is The Bank open? The club is open from 10 – 4 AM Fridays through Sundays. What are the best nights to go to The Bank? Sunday is industry night so expect to see more locals. Fridays and Saturdays are pretty standard. What is the dress code at The Bank? How much do drinks cost at The Bank? Mixed drinks / cocktails Start at $15, Beers $8, Shots $8, and Bottles start at $425. The bank plays primarily hip hop and so the resident DJs are typically local talent. There will often be live performances by hip hop artists as well. What kind of music do they play at The Bank? It’s usually a mix of top 40 and hip hop. Some EDM. Where can I find an list of upcoming events / DJs at The Bank? You can download the Discotech app to see upcoming events, get on guestlists, book tables, and buy tickets. You can also visit The Bank’s website for a current list of events. In which hotel is The Bank located? The Bank is located in the Bellagio. Looking for VIP offers and comps? Check out URComped.com to find a Casino Host at Bellagio.